The year was 1999. Competition from China and elsewhere was taking its toll in Toledo and elsewhere, as tool and die shops large and small were closing their doors. But Larry Bolander had his own dream, and would not be discouraged. He wanted to be his own boss; plastic injection molds were his strength. He had the technical savvy and the determination to open his own shop. So he did, at probably the worst possible time in the economic cycle. With a partner, Advantage Mold was started on Wheeling Street in East Toledo. SCORE was involved from the beginning. SCORE helped with the business plan and SBA loan process. After the business was started, SCORE helped with marketing, accounting/costing, personnel, banking relationships and growing the business. SCORE also helped get me through dishonest salesman, partner buyout and refinancing. Today, SCORE is helping us get to the next level of sales and profitability so that I can begin to "draw down" my financial stake etc. An SBA loan was secured, equipment was leased, and employees were hired. Everything that could go wrong did go wrong in the early years. There were customers that didn’t pay, putting Advantage in a severe cash bind – several times. A dishonest salesman stole customers behind Larry’s back. The partnership failed, leading to an expensive buy-out. Orders were hard to come by, to say the least, but Larry held on and weathered the storms. Gradually, the sky cleared. Now it is 2012, and business is looking pretty good. Sales levels are five times what they were in the beginning; Advantage is hiring and looking for more equipment; customers are seeking the high-quality workmanship and service that Larry has made the hallmark of his business. Finally, a classic situation has developed which often is the secret of small-business success: Larry Bolander has found a special niche, and it is leading Advantage into better times. The niche is realistic training guns and other products for law enforcement and the military. Larry’s products are more life-like than most, due to his creativity and technological savvy, giving Advantage an edge over the competition. Take a look at the website www.armygreenguns.com and be sure to look at the 3-D terrain models – Larry’s own invention which is unique and proving highly popular. These special products are now perhaps half of Advantage’s business. 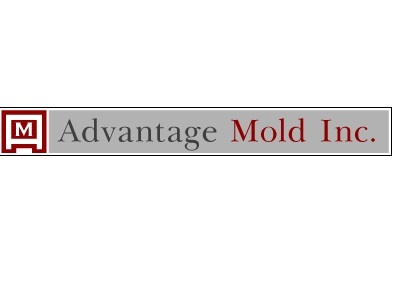 Check out Larry’s regular website – www.advantage-mold.com to see that the plastic mold business is still his main focus, though other tool and die technologies are playing an increasing role in response to customer demands. So, what of the future? Advantage is now on solid ground, but Larry knows that the ground is always shifting with global competition and new technologies. Skilled manpower is scarce, as tool and die makers have fled Toledo for greener pastures. Today’s machinery is mostly computer-controlled, demanding more sophisticated employees and equipment. Larry Bolander has survived 12 years of everything the economy and the competition have thrown at him; he now has the confidence born of experience. He faces the future with a company that is ready to compete – and to survive. Larry had the help of SCORE Toledo mentor Norm Thal from the very beginning, with mentor Ora Alleman also pitching in to help.